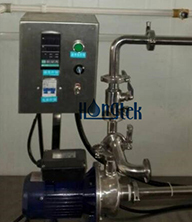 Testing is very important to control good quality for filtration products, so that can ensure stable high quality filter materials and water cartridge filters for long term business with partners. 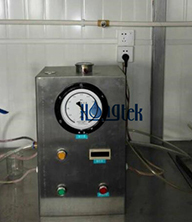 Maybe you don't know well about the testing, Hongtek take high attention to filter testing, all ours effort and soul reflected in good quality water filter cartridges and excellent service. Test the dirty holding of membrane for different micron rating, then can learn more and select the suitable quality membrane material for cartridge filters, keep strong dirty holding capacity for pleated cartridges. 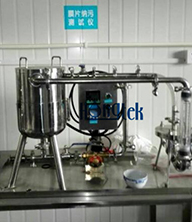 Water flow rate is an important requirement by water filtration system, is related to work efficiency and time cost, membrane tested would be high flow rate and meet customer need. 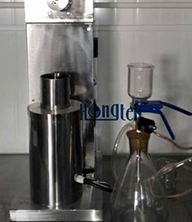 Air penetration rate need to be tested and ensure high flow rate, then can improve the filtration efficiency for system, find a suitable solution way to work well and stability high quality for membrane pleated cartridge filters. After membrane testing and make membrane pleated cartridges, filter dirty holding testing can know the strong dirty holding capacity and ensure the good quality filter cartridges for filtration system. The dissolubility testing of filter material can know the filtration efficiency of water filter cartridges, meet the requirement of market to filter efficiency and come out pure water after being filtered. 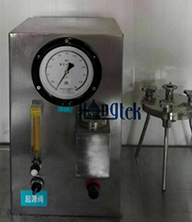 Bubble point testing is the main concern for the working time of pleated cartridge filters. 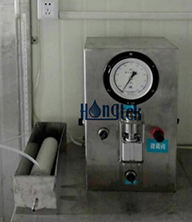 Bubble point of membrane is endurance testing, when getting the data, we can research and develop to improve better quality membrane material for cartridge filters.